Remember Wall? As in, the town in SD, with the bar and basketball game and not much else? Yes, that one. 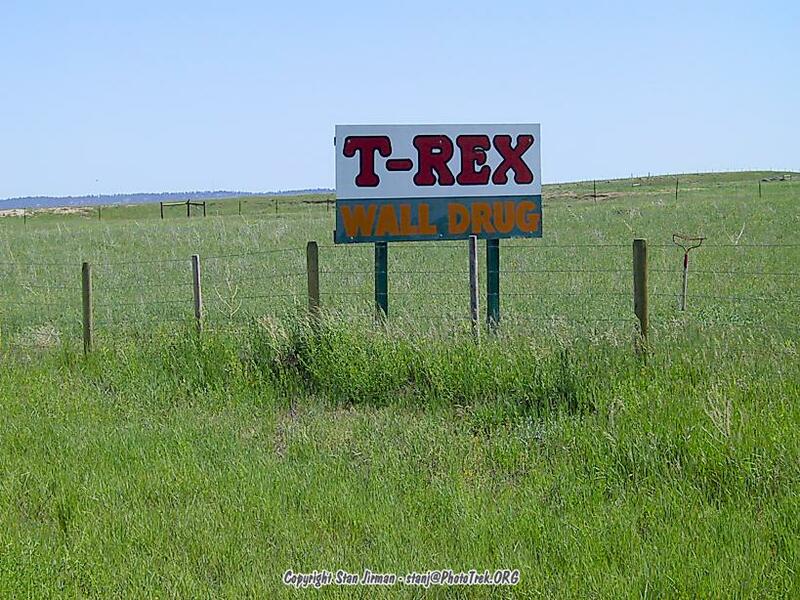 The Wall exit was preceded with many, oh so many, big signs for "Wall Drug", making you wonder what it's all about. They even have a 80-ft "stuffed" pet dinosaur there, to catch your attention. 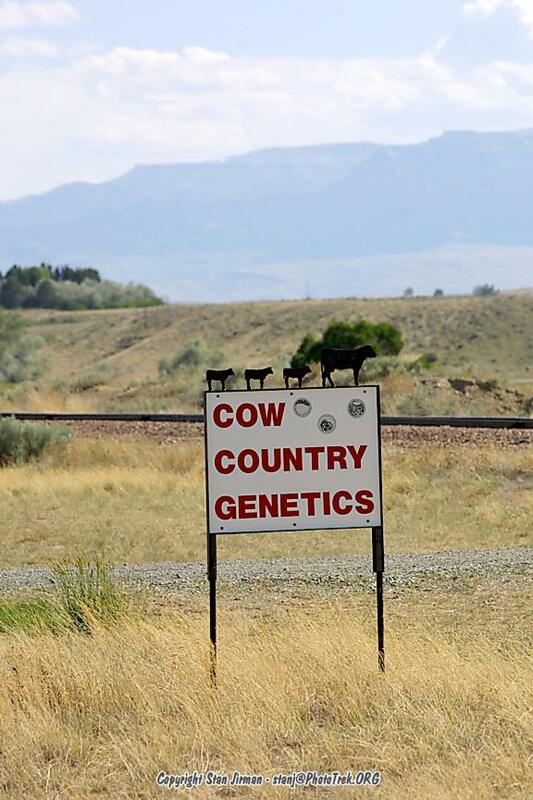 But that's ok, if a town lives from people who are on the way through, I expect to see some billboards before the exit. However, I did not expect them in another state, some 350 miles away, on a road which doesn't even head to Wall. But here they are, by Moorcroft, WY, on US-16, on the way to the Devils Tower. I guess the thinking must be like this: if a tourist is heading west->east, and visits the Devils Tower, chances are he's heading for the Bad Lands as well, so let's get him used to the "Wall Drug" billboards early on. Since Essan voiced her desire to go to the Grand Tetons, we have to change our route a bit, also because we want to go to Canada (just because we can, permanent resident and all), and lastly because Pot needs his required 5000 mile checkup, and mind you, there is one shop in all of WY and five in all of MT that are blessed by Audi to do the work - so we have to align the schedule for that as well. 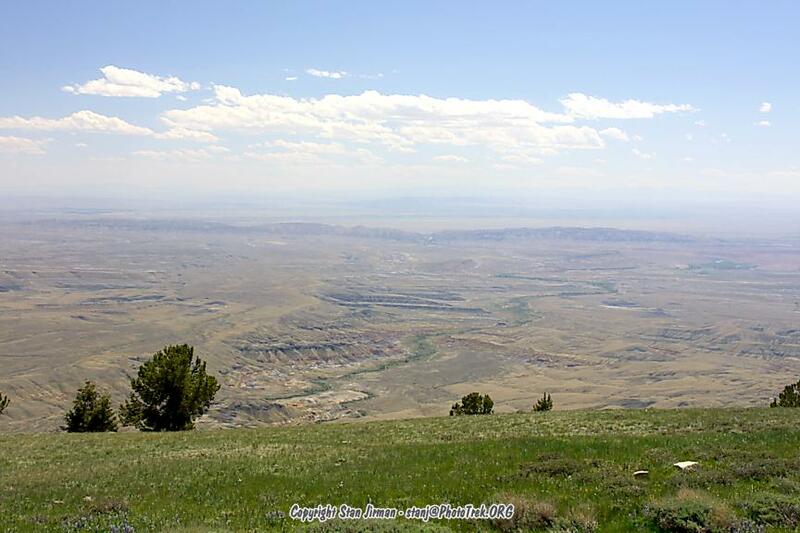 So it comes that we are heading far north west, through the scenic northern ranges of Wyoming. 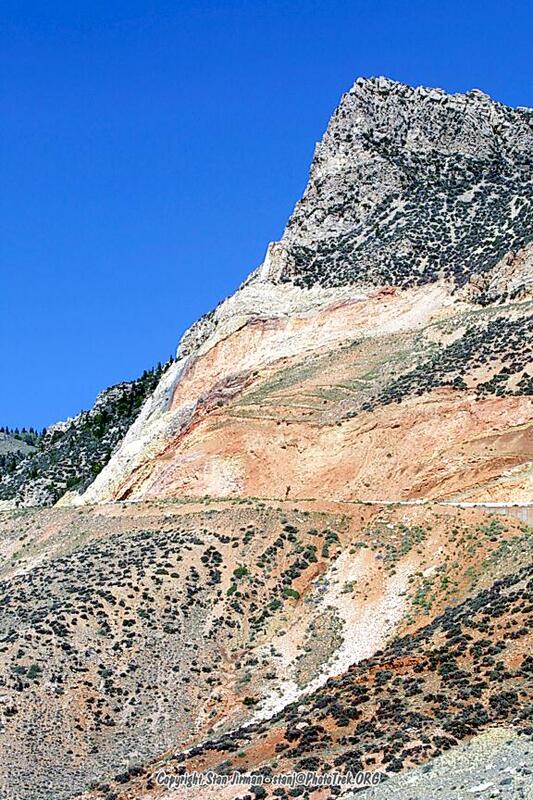 The day consisted mainly of driving thru scenic ranges of Wyoming. 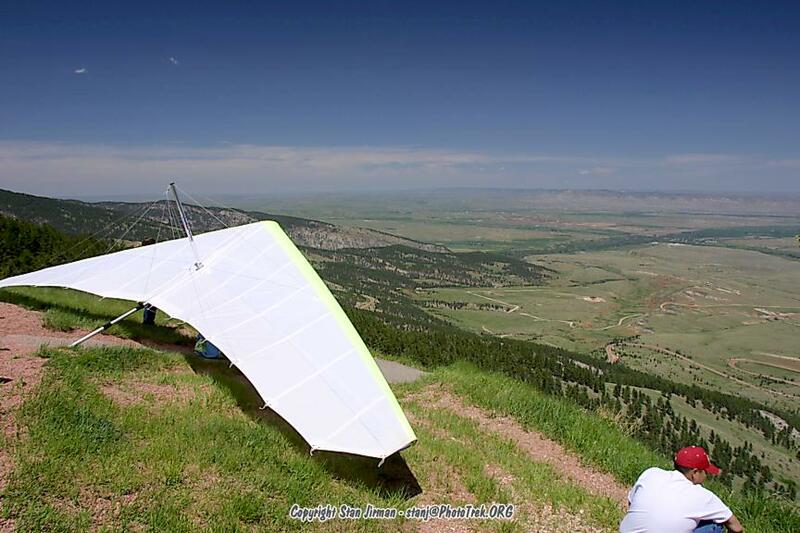 We saw a group of hang gliders waiting for favorable wind conditions... patiently, for 5 hours, and they were still waiting when we left them. 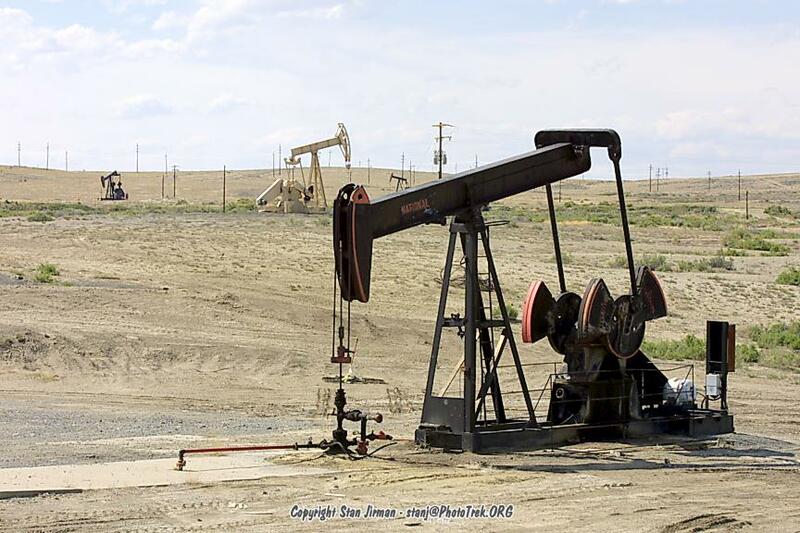 Further on, we saw some of Wyoming's oil drilling fields - I guess that is part of the reason why the gas is so cheap over here, about $1.83 for premium, while the same costs about $2.30 in the SF Bay area. 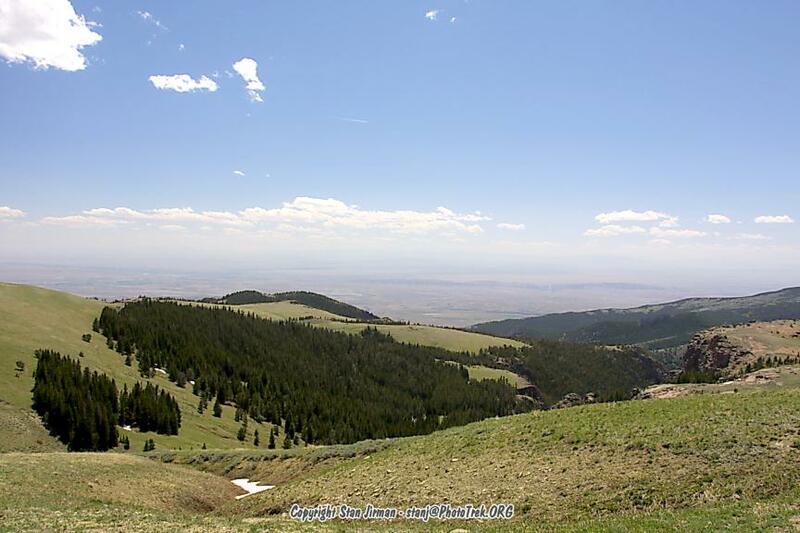 Finally, we stayed overnight at Cody, just a few miles away from Yellowstone.